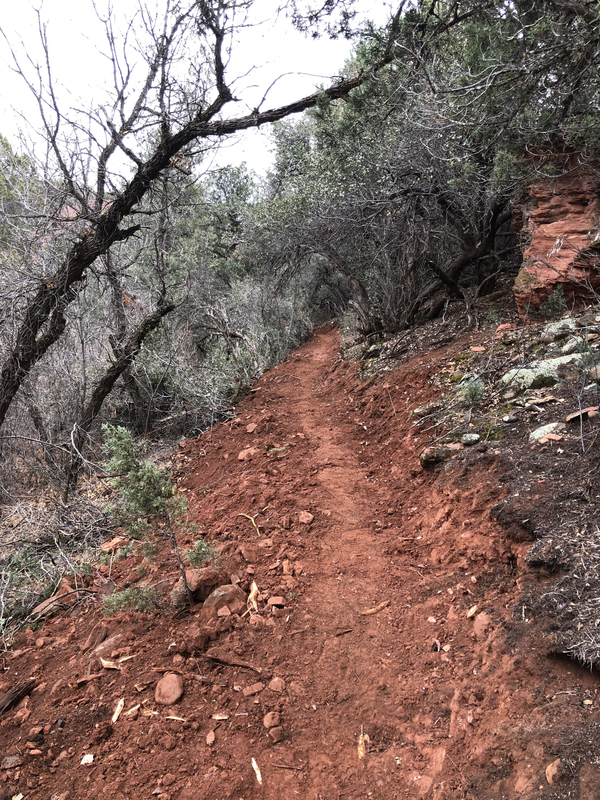 In February 2018, Singletracks published an article entitled Sedona is Breaking Ground on a New 27-Mile Trail System. What’s happened since then? 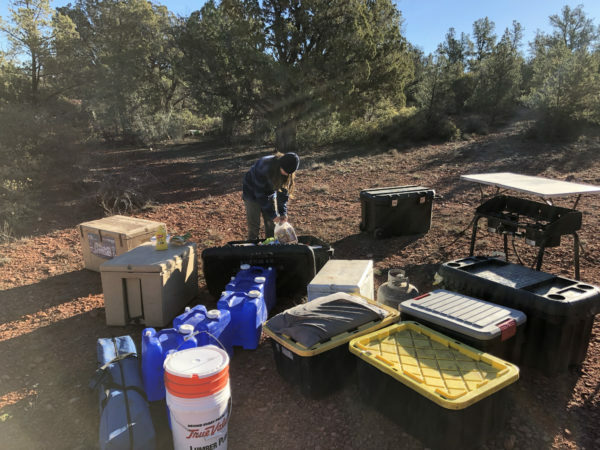 On May 31, 2018, the Red Rock Ranger District (RRRD) approved a Decision Memo improving the RRRD by adding approximately 34 miles of non-motorized trails. 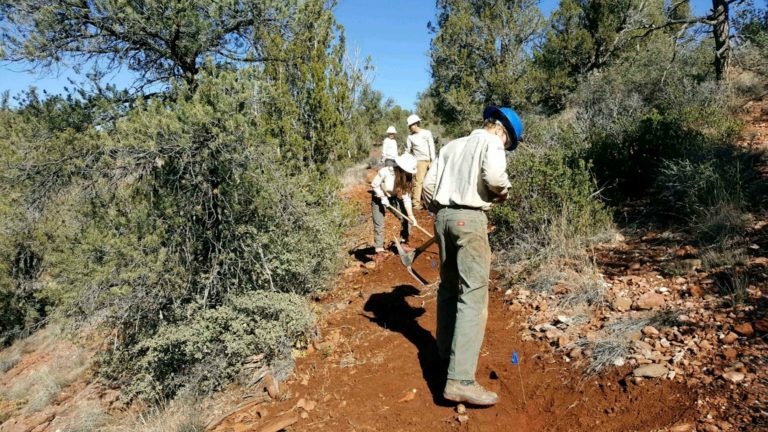 The Decision Memo culminated a decade of community collaboration focused on quality, sustainable public land trail recreation and conservation of Sedona’s unique cultural and natural resources. 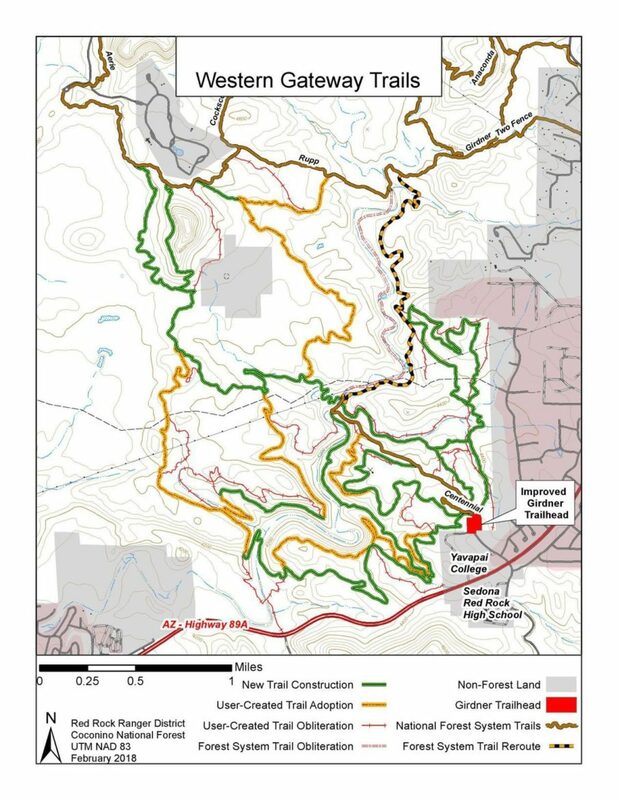 The Western Gateway portion of the Decision Memo calls for a system of trails being developed “by improving and adopting 11 miles of user-created routes combined with construction of 15 trail miles and re-rerouting of 2.8 trail miles to meet the needs of a well-planned system.” Western Gateway implementation will require at least 3-years of hand built construction effort with 100% community funding. The Western Gateway. Map Courtesy of the RRRD. 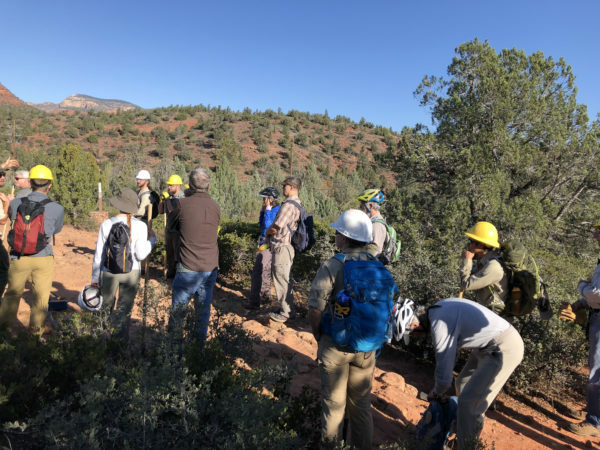 The Verde Valley Cyclists Coalition (VVCC) raised the match required for a National Forest Foundation Matching Awards Program (NFF) grant awarded to the Sedona Red Rock Trail Fund (SRRTF) in July 2018. The VVCC and SRRTF raised over $100,000 in funds for the first year construction effort. With funding in place, ground was broken on November 8, 2018 through a series of REI and local business sponsored volunteer trail work days on the Girdner Trail re-route. This just under three-mile re-route will take the Girdner Trail out of the Dry Creek floodplain. 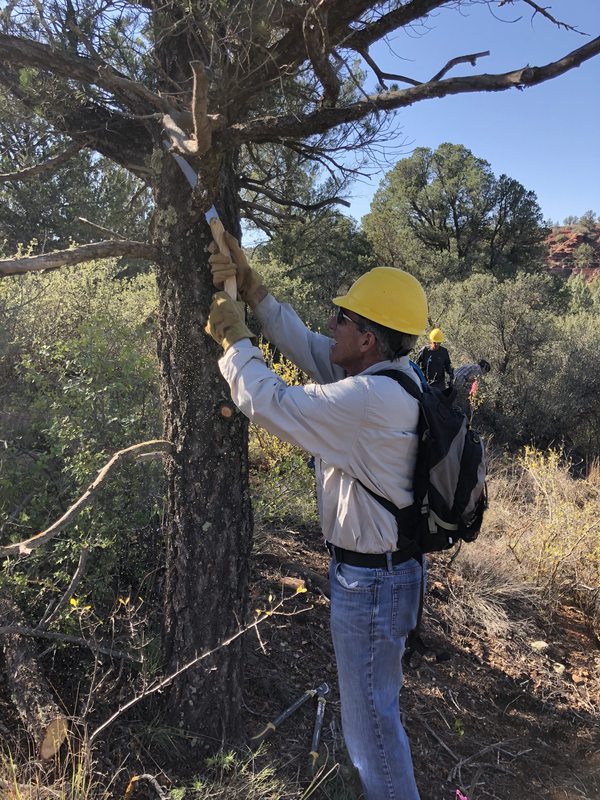 Due to the intense desert heat and monsoons, Sedona’s trail work season runs from late fall to early spring. 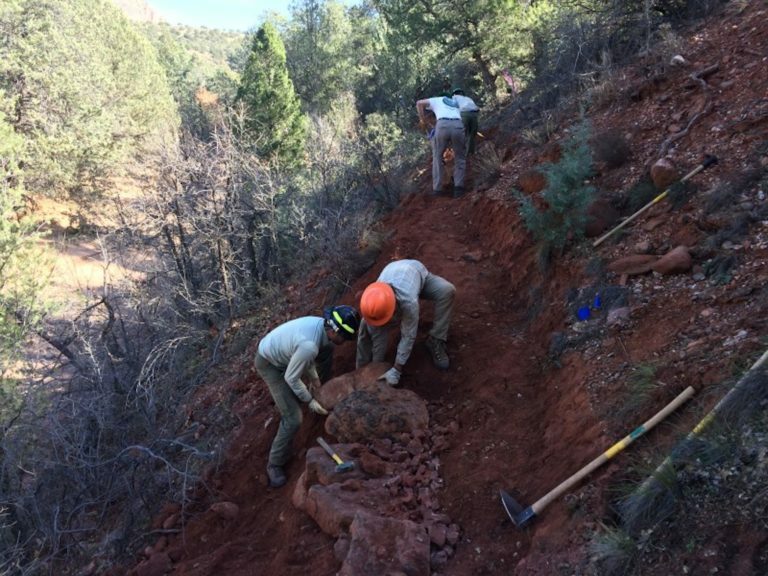 Red Rock Ranger District Volunteers Work on the Girdner reroute. Photo courtesy of Kevin Adams. 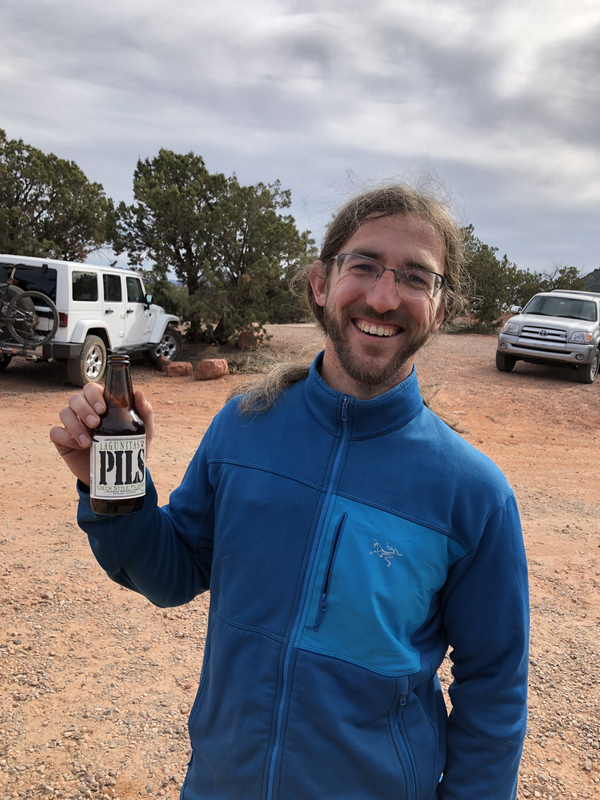 At the end of the workday, volunteers enjoy pizza provided by Famous Pizza in West Sedona and wash it down with cold beer from Lagunitas Brewery and sports drinks from REI. On January 23, 2019, two, four-person youth crews from the American Conservation Experience (ACE) began eight weeks of construction efforts funded by the NFF grant and donations from local and even out-of-state mountain bikers. Those donations helped the VVCC raise the required NFF grant match. 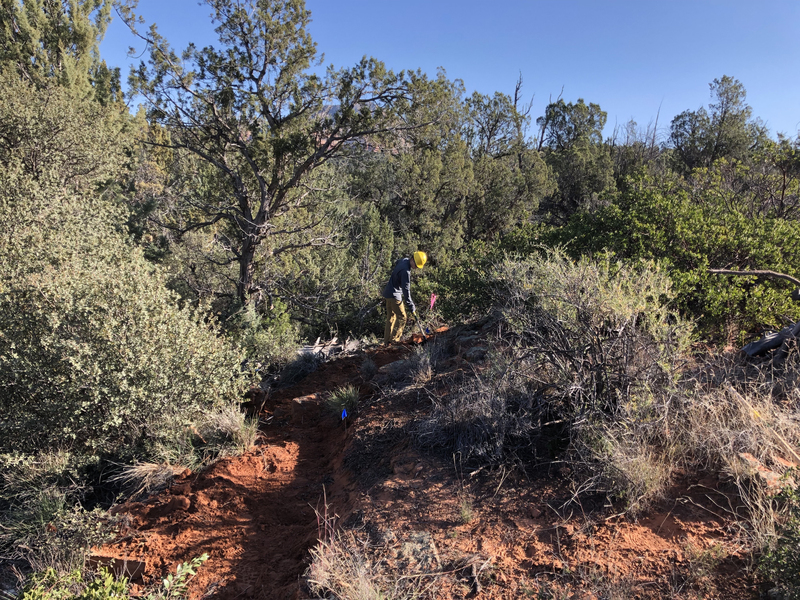 The Girdner reroute, along with several new miles of trail added to the system, should be completed in time for the Sedona Mountain Bike Festival that begins on March 1, 2019. The VVCC is now raising funds for the Year 2 construction effort planned to begin in the Fall of this year. To help raise funds, the VVCC and SRRTF have combined forces on a raffle featuring over $20,000 in prizes designed to appeal to a wide variety of trail enthusiasts. For the mountain biker, there’s are Liv Pique SX and Giant Trance 29er mountain bikes ready for new homes, along with a Shimano XTR M9100 groupset, a Whisky carbon wheel set, Marzocchi Bomber suspension forks (one each 27.5” and 29”), a Hollywood Racks hitch rack, Kali Protective helmets, Shredly clothing, plus local trips, accommodations, and tours. There’s also a high-end Dell laptop, a Rockford-Fosgate complete 300W auto sound system, and additional trips, accommodations, and tours. A complete prize list and contest rules can be found here. Raffle tickets can be purchased online at www.westerngatewaytrails.org through February 28, 2019 and onsite at the Sedona Mountain Bike Festival March 1-3, 2019. Winners will be announced at the Sedona Mountain Bike Festival.